Thank you for visiting Freedomborn in 2019, this is the Opening page and the Focus of this Blog which I started in 2011, there has been ups and downs, Joy and pain along the way but always I have known God’s hand of Love guiding me onwards over the rocky ground and High on the Mountain Tops. I hope you will be very Blessed and your very welcome to share what’s in your Heart and even if you don’t know The Lord as your Friend yet please still feel free to express those things that concern you or things that have puzzled you or ask questions that you have pondered on. Perhaps some of you would like to share some Godly advice or how you have been Blessed and uplifted by our Awesome and Loving God in your life, please feel free to do so in your Comment or on the Link below….. I will also be sharing on Freedomborn those things that have made me the person I am today which is a Spiritual Child of The KING of Kings and Lord of Lords, my life as been a very hard one but my heart is very thankful for God’s never ending Love, Mercy, Compassion and His many Blessings. I would like to now share the theme of The Blog in an Uplifting and Inspiring Story, I don’t know who the Author is but if you do then I would appreciate you sharing this with me but if it touches your Heart that is what is always the most important and if so and you want to express how, please feel free to Bless us all by sharing. One day, a boy climbing in the mountains found an Eagle’s nest with an egg in it. When he got home, he put it under a hen along with her other eggs. When the Eagle hatched, he thought he was a Chicken. He learned Chicken behaviour and scratched in the Chicken yard with his ‘siblings’, he didn’t know any better. Sometimes he felt strange stirrings within himself, but he didn’t know what to do with them, so he ignored or suppressed them. After all, if he was a Chicken, he should behave like a Chicken. Though he’d never flown before and there was no mother Eagle to help, he still possessed the instinct and capabilities. At first he flew unsteadily, then with greater power and control. Finally, as he soared, he became the creature that God had made him to be. ‘When we realize in our hearts we have been leading only half a life, the other half is going to reach out to us until we seek the Lord to empower us to Live it. We were made by God and for God. Until we understand what He has planed for us and what He has equipped us for we will not feel fulfilled or complete. God wants our Love and Friendship without Him in our life it is without real meaning or purpose. It’s only in Jesus Christ that we discover our purpose and our calling. Here I am waiting.Abide in me I pray. This entry was posted in Messages From The Heart, Welcome Children of the King of Kings and tagged Amazing Love, Bible, Blessings, Body of Christ, Caring, faithful, Friendship, God, God's awesome Creation, God's Love, God's Truth, Heart Music, It''s so Wonderful, Never give up, Peace and Joy, Rescued, Scriptures. Bookmark the permalink. If you have a Prayer need or just want to share any concerns or have questions, please feel free to express them and ask them too but I do not accept free advertising on my Blogs. We are born eagles. We are born to soar. The Lord, God created us to be great in life, but it is a pity that situations have incapacitated many to be the one, God wants them to be. It would have been better if we can come back to our senses, and realize who we are in Jesus Christ, and give it all it takes to be just that. Thanks for sharing. Thank you Peter for visiting and sharing your Eagle focus and yes God knows His Redeemed Children before we are conceived, He knows those who will have True Heart Repentance and accept the free gift of Salvation in Christ Jesus and when we do we will Soar on Eagles Wings. enjoy. Hoping there are much more incredible material coming! Thank you for your encouragement but I was surprised to read your comment with my Blog focus being Christian, do you also believe in Jesus or would you like to find out more about Him. I do appreciate your interest in what I share but I will be unable to visit your Blog as I have found the Occult to be very dangerous and so have nothing to do with it now, I will pray for you to realize the same as I do wish for you God’s Peace Eternally. Hi Debbie, I will phone again, I was wondering what your views were on your Election and why , I would very much appreciate you sharing them with me, I have heard both good and bad and being an Aussie it’s good to hear Christian Americans share. What does ttyl mean Debbie is is an American expression? It means talk to you later!! Thanks Debbie, I have never seen that abbreviation before , I will phone again today, I hope we connect this time, if not let me know when to try again. Excellent post and put the icing on the cake with one of my favorite songs! God bless you! Thank you Matthew Winters Ministries for visiting and offering your encouragement and also for joining up with Freedomborn, I’m looking forward to visiting you soon and yes it is one of my favorite Songs too and also the one above. Wow, I had to do a lot of scrolling to get here! Love the story. Amazed that you’ve quoted one of my favourite scriptures and posted a song I love. God bless you. Thank you Selina for persevering, I have been Blogging for over 5 years now so Comments add up but it’s always good to hear from other Bloggers as they share their thoughts and feelings. Isaiah 40: 31 is one of my favorite Scriptures too and I love the Song, On Eagles Wings but of course they are referring to Spiritual Heights, we all grow older so our bodies are limited but Wow Spiritually in Jesus Christ we can’t be shackled, we Soar High with Him. I will look forward to sharing with you again Selina, Christian Love Always – Anne. Yes Shattered in Him, Matthew 11:6 in context shows Jesus Christ’s Divinity which many rejected and still do today and also that He was Born at Christmas and died on Good Friday, which the Scriptures confirm too. Thanks for visiting, God Bless you – Christian Love – Anne. Without Jesus Christ there is no purpose to life on this earth or do we have a calling… He is The Way, The Truth and The Life, all else will lead to a dead end and Heartache Eternally. Very True, without Jesus there is no foundation and all that was built will crumble and only rubble will be left. Can’t find your comment anywhere. It seems strange Sally because when I Posted it again it said duplicate Comment, which means the other one was accepted, someone at WordPress could be messing with your settings so they can delete your Comments, I would write to them and ask them to explain how three of my Comments disappeared from your Post, they will check it out for you so it doesn’t happen with others who Comment. Thank you Prashant, I too was encouraged when I received this Message , Truth always uplifts when understood through Faith. Anne – This New Year’s posting setting up the beginning year of your blog is magnificent. I’ve been away for many months but am looking forward on catching up with some of your posts.. Thank you for your uplifting encouragement Sheri, I thought it was a great allegory too when I received it years ago by e-mail, although I didn’t know the Eagle was America’s symbol, I always feel lead by the Lord in what I share even in comments, so I felt it fitted in well with the Focus of my Blog, which is “Freedom in Christ Jesus” when we become all what we are meant to be, we have Freedom. I think of you often Sheri and your Husband, you are indeed a very special Woman, not many today would sacrifice like you do, God Bless you greatly now and always. Amen! Jesus is necessary to truly have life on this earth and gain eternal life. The story is definitely my story right now, after breaking away from the abusers in my life, I realize they tried to clip my wings, but they just wounded them. I am on a journey from the pain and hurt to healing and finding what was/is meant to be my life. Dear Joanna, I feel blessed that you came to visit and share, your focus is a very good one, Jesus is indeed the only way and He is our only Teacher too and comforts us in our hardship as well as given us His Strength to endure. But what is so wonderful is He is always with us as the Scripture below confirms and His plans for us are very good . He gave me the Scripture below to hold onto in my Storm and I keep it close to my heart, I hope it encourages you too. Jeremiah 29 :11-12 For I know the thoughts that I think toward you Joanna, says the LORD, thoughts of Peace and not of evil, to give you a Future and a Hope. Yes indeed the Scriptures do confirm that God The Father, Jesus The Living Word and The Holy Ghost are One in Spirit even though Their roles are different. 1John 4 :20 -21 If a man say, I Love God, and hateth his brother/sister, he is a liar: for he that Loveth not his brother/sister whom he hath seen, how can he Love God whom he/she hath not seen? And this Commandment have we from Him, That he who Loveth God Love his brother/sister also. Yes when we have God’s Love in our hearts it overflows to both Him and to others, we consider everyone People of Worth even when their needing correction for their wrong or sinful actions. Amen Sister in Christ Jesus ( Yeshua ) Anne!! I have you Linked on my website under LINKS now since you’re KJV Holy Bible Believer!! Thank you Kristi Ann both for using Freedomborn’s link and for your encouragement, I hope you were blessed by what you read as much as I was by sharing mine and Reblogging other Bloggers messages. Yes it’s True Kristi Ann the KJV has the least translation errors, some others even well used Translations and especially Cult ones distort God’s Truth by adding man’s understanding and some because of deliberately deleting important verses or adding words to change the original meaning of what God is saying to us and then they claim that the KJV is too hard to understand being an older Translation but Thankfully The Holy Spirit always gives us understanding and even shows us error in Translation including those done deliberately to deceive us. Thanks again – Christian Love Always – Anne. Thank you for your encouragement forkwardthinking, I will be seeking to visit you but I have had a few Computer and health problems that have caused a backlog which I hope to action in the near future and I will include your Blog now too. Thank you Melanie for your warm wishes for my health and your loving welcome on your Blog, see you again – Blessings – Anne. You have an excellent blog site here, thank you for all of your great work. I am going to reblog this one for you, hope fully that will get you a little more traffic your way. Thank you for your kindness in Rebloging the opening Post for my Blog, I do appreciate that you did this but I must be honest and share with you that I don’t agree with some of your claims about Creation, they are not Scriptural and your reasoning and logic in this regard are not confirmed by God’s inspired words, also the Teaching of your Denomination has error too. If you would like me to share some links on my Blog with you that show with the confirmation of Scripture why you and your Church are in error please ask and I will, this is not a personal attack against you as a person of worth, you very much are one but I too was once in error until I asked for and received God’s Wisdom and empowering, both are needed to understand His Truth. Jesus tells us to Ask, Seek and Knock and also that He is our only Teacher, let’s Trust Him, not a Man or woman to lead us into all understanding. Thank you Victoria for your kind words of encouragement and for the Link to your Christian Blog, I will visit soon but no doubt both of your Blogs have a Christian heart focus. “Christ”ian Love from both of us – Anne. I point out that I use the word appropriate because it presents itself like a homespun Sunday School lesson. I’m not pretending that I know you, just going by your choice of Scripture passages. As you may have gathered by now, my strategy is in provoking thought. I’m up against people’s comfort zones (the unbelievers). Comfort zones predicated by preconceptions of Christianity due to “religion’s” impress on the public realm. Here’s one more. Read them at your leisure, please (don’t think there is any expectancy). Another post you might find of interest. Keep in mind, I am being facetious in some of the remarks. Wonderful story, thank you for it. A good analogy, no, I don’t know any connective history with the story’s origins. Likely someone has already solved that puzzle. Thanks again. Thank you for visiting and sharing Mike, I also hope to visit you again before I go to bed tonight or in the Morning Aussie time. I have appreciated your focus in your messages that I have already read but I plane to read more and comment too. No I still don’t know where the Eagle Story came from Mike but it is as you said a great Analogy as are others I have received over the years, God’s Truth is every where even if Satan’s lies are too. Thanks again Mike – Christian Love Always – Anne. Thank you for visiting Bell of Peace and I’m pleased that you are inspired knowing, as shared above, that it’s only in Jesus Christ that we discover our True purpose and calling, man cannot do what only He can do and that is raise us up to soar with Him in Truth and Freedom…..May you find His wings Bell of Peace and know His Peace. Thanks Debbie, your a very Loving and caring woman, so I’m blessed to be following you, thank you again for following us too, although Ron does not write for our Blog anymore, he still supports me and hears about my Blogging and he does take time to comment, so thank you for your prayers for us too. On my own strength I fell so many times, to weak to get up and raise up my wings but God was and is faithful, no matter how much I sinned, he forgave me, loved me and continue to nurture me until I am strong enough to raise my wings with faith and courage in my heart…now, I’m flying again…may not be that hight but it gets higher and higher by the day. God bless my friend. Looking back I can say the same Island Traveler, we do indeed have a merciful and Loving God, He knows us as His own and not one of us will be lost. yes because Jesus lives we can face tomorrow all our fear is gone. Blessings and Christian Love – Anne. Thanks Debbie, that’s good news, I always like to quote the Author if known but so many are not known. I checked up on this Story and found 15 links to those who have used it too, one website said they had the Authors permission to use and share it freely. I originally found it on a Christian website, it also said Author Unknown, it has been used in other ways but mainly as a motivational Story. You are so very welcome,my friend! Hi Debbie, I decided to check again and it is not the same Story Garry Barns wrote, it starts in a similar way but has a very different focus in it and ending. Thanks anyway appreciate your trying to help. Pleased you enjoyed it Cath, I’m still hoping to find out who wrote the Story, it has been used before on websites but with no Author. Yes on Eagles wings is a lovely contemporary Christian song and one of my favorites too. The author is Gary Barnes.It is such a beautiful story.Thanks fr sharing. After much research there are hundreds of versions of this… Few of them even mention an author. Yes I found the same Debbie with other Stories on the Internet, I gave up in the end and I didn’t worry anymore, one thing I did realize though, a lot of the Stories on the Internet have wrong teaching, even Children’s Stories, no doubt they were created by Wolves, False teachers and Cult members. Thank you so very much, you, too. Amen. Absolutely beautiful! Masterfully put together to bring honro and praise to our Lord, Jesus. amen! Thank you Debbie, we are all one in Christ Jesus, it’s great we are family and joined together in the heart of God. You, too! I’ve sent and email. Thanks Debbie, I received your e-mail and checked a few of the links but one said not found, anyway I will continue reading them and commenting and leave links for you too over the next week. Thank you for visiting and sharing jsackmom and yes we are all meant to soar and we will when we are Spiritual Children of The King of kings, Up Up and away and we don’t even need an air balloon. Your are blessed with the gift of opening the eyes and heart of others for God’s love, hope and mercy. Thank you for sharing his light and joy. I tried to leave comments on you post but can’t see them. Perhaps it will show later. Till then, just want to tell you how beautiful and inspiring your posts are. God bless you and your family always. Wow such kind and Loving words dear friend, it’s the same for me , you bring me so much Joy in my being part of your family, it may only be on your Blog but for me it’s in my heart too, your Love for your family gives me a good example that my dad wasn’t able to give me, and so in your sharing about your relationship with your wonderful Son I’m greatly blessed, Thank you. Beautiful song! Lovely! Thank. You for sharing this friend! Much blessings to you and your family! Thank you for visiting Faith Love n Desire and yes I Love the song too, it touches my heart and it’s Truth touches my Soul. I had taken time off blogging and I suddenly ran into this, the eagle becoming what you are meant to be,so true one part of you will never leave you in peace until you reach out to Christ to fulfil your purpose. This has happened and still happens to me,goes to show how much of a process this life is. Thank you for visiting limbiley and yes this message is very challenging, it is not till we stop being chooks that we can fly, sadly some would rather scratch around in the dirt eating crumbs, the Scriptures say they have itching ears, meaning they only want to hear what they will accept , Jesus was up front, that is why He was rejected by many and we will be too when we walk as He walks. I visited various blogs but the audio quality for audio songs current at this web page is really wonderful. Pleased you like it Andreas, you too can have it on your Blog, WordPress are very clever, they make quiet a few good things a reality for us. Thanks for your blog – and thanks also for following my blog, Learning From God’s Word. God bless you and make you a blessing to many. Thank you Charlie for visiting, my Blogging has been limited because of an accident I had just before Christmas, but I hope to catch up and with your Blog too. I really appreciate you taking the time to encourage us , it is very kind of you. I was wondering Charlie if you have Posted anything about Angels and if so perhaps you could share a few of your thoughts with me, I would appreciate if you could as I feel lead to do a Post about them very soon, there is great deception being propagated by some Bloggers and others need to be warned. I haven’t written anything about angels. Here are a few thoughts which I hope you’ll find helpful. (i) We must start by acknowledging our limited understanding. (ii) We should ground our thinking in God’s Word. (iii) We should recognize that it’s difficult to know where to draw the line between solid exposition of God’s Word and “interpretations” that move beyond God’s Word, even if they pay lip-service to Scripture. (iv) Our chief focus of attention should be on our Saviour. (a) The angels in heaven find their greatest joy in seeing people coming to the Saviour (Luke 15:10). (b) God’s Word says this about Jesus: “Let all God’s angels worship Him” (Hebrews 1:6). (c) We must take care that we don’t make too much of angels. When John started to worship an angel, the angel stopped him, and said, “Worship God!” (Revelation 19.10). (d) We must never forget that a good angel became a bad angel (Satan), and he has caused endless harm ever since! Jesus will never change His nature from good to evil. He is “the same yesterday and today and forever” (Hebrews 13:8) – the sinless Son of God. (e) When we take our eyes off Jesus, and pay more attention to angels, we’re asking for trouble. A fallen angel (Satan) is always ready to seize his opportunity to take us even further away from Jesus. (f) We must remember Jesus’ words, “Judge not that you be not judged” (Matthew 7:1). Even when we’re seeking to take our stand on God’s Word, we’re not always able to say, “This is from the Lord. That’s not from the Lord.” What we should always be doing is pointing people to Jesus, inviting them to learn of Him as they read God’s Word. When we speak about angels, we should pray for (1) confidence in God’s Word; (2) humility when we offer our own interpretations of His Word; and (3) the wisdom that is able to tell the difference between the two! May the Lord bless you both, and the work you’re doing for Him. Thank you Charlie for your understanding in regard to Angles and yes it is confirmed in Scripture. I have recently been on a Blog that was promoting Angels above Jesus and this gave me great concern for those who were following because as you said many Trust in man’s understanding and God warns us about this. We need to ask for His wisdom and believe we have received it (James 1:5 -8) then we can have assurance what we are reading and sharing is God’s Truth as Paul and the other writers of the Scriptures had, they did not depend on man’s wisdom but on God’s (1Corinthians 2:4) how sad it must be for those who don’t have God’s assurance when they seek to share His Truth, thy must worry that they might be sharing error. Jesus is our only Teacher and He is leading us into all understanding through the empowering of The Holy Spirit and He does not change His mind or say one thing to someone and something different to someone else when it contradicts but He may share something that we can share with others or they with us but it will always be confirmed in Scripture and He will also show us man’s errors in Translations so we are not confused or deceived . So yes I agree with you Charlie we must not share what we don’t have assurance of or do we agree with others who seek to teach us unless it is confirmed in Scripture, by Jesus The Living Word through the empowering of The Holy Spirit (1Corinthians2:9-16) when we have His assurance, we don’t share error. I also agree with you Charlie in regard to judging man’s weaknesses, faults and shortcomings or their Eternal Destiny, no we must not do this, or do we judge with our own understanding but with God’s Truth when we correct error, rebuke sin and warn about ungodly teaching but all must be done in Love and for Love. Thanks, Anne, for sharing these thoughts about holding truth and love together – standing on the truth of God and sharing His truth in love. God bless you and make you a blessing to many people. Thank you for your kind words Charlie, I’m still in acute pain on and off because of the accident I had just before Christmas, God’s Balm helps greatly but I don’t always have it available when I’m out. I would greatly value your prayers for healing , I do seek to be patient in affliction but find it very hard at times especially when there is a need to be there for others. I’m pleased you appreciated this story Andre it has much Truth, thank you for visiting it’s appreciated. Yes it is True dear Clarabelle, our Loved ones stay in our heart so in one way we are never apart but we miss them and long to be close to them but we have Hope and know we will see them again. I’m off to bed soon, see you tomorrow Clarabelle, I will come and visit you. Hi Clarabelle thank you for visiting and I’m pleased you enjoyed the song, it is one that talks to me greatly too. Before I became a Christian there was a very popular that was not known as a Christian one, God talked to me through the words but it was not till I became a Christian that I fully understood what they meant , It was Anne Murry’s, You needed me, the link is below, yes God’s Truth is everywhere. I would Love to hear your song Clarabelle and any others you feel I would enjoy, is your surname Murry? I really felt lead to share this message and song with you, God bless you greatly. Thank you Anne, yes my surname is Murray (with an ‘a’ though) Thank you for sharing the song I really do appreciate it, I am going to listen to it again. I will look out the link to my song and share it with you too. Thank you. Here is the link Anne https://www.youtube.com/watch?v=LxlycfY-WrE it is a raw version but the words are lovely. Opps I left out the A , this Anne, has the same name as yours, Murray, your song is beautiful and very meaningful, I wanted to comment but they have made it too invasive. Your voice matches your words, it has God’s Harmony, beautiful, Thank you Clarabelle, I would love to hear more. Below is some of the Scripture that The Lord gave me when I was going through a very violent Storm in my life and hurting greatly, I still hold onto them. I was blessed to see that they confirm your song Clarabelle, you are indeed called by The Lord to offer Hope in the darkness. Thanks Clarabelle, it’s been a wonderful Sunday and you have helped to make it so, please let me know when your Album is released. This is the Piano Instrumental. Thank you dear Clarabelle, but unfortunatly when I downloaded the flash player before to listen to your beautiful song on youtube, my Power point programe was corrupted, why I’m not sure, it has not happened before. But Please share the word’s with me and I will try again some other time, my dad is also in Heaven, so I would love to hear your thoughts. If you respond again Clarabelle, please start on a new comment box not reply as we are running out of space, I will see you. Thank you for thinking of me Ellie and for your kind words in appreciation of what I share. I also appreciate that Awards are an encouragement but they are not my priority, even though I’m thankful for them and hope by next year to have Posted some, although there are a lot I Blog with that don’t accept them now, perhaps they don’t value them. With Blogging my priority is answering comments and responding to those who have Posted, which with also sharing our heart thoughts is what Blogging is all about to me, if we don’t than it’s just all about us and not others but more importantly we are also missing an opportunity of sharing God’s Truth which we can do not just through our Posting but by honestly responding and sharing in comments too. Yes some prefer short and sweet, we are all different, it seems Ellie you don’t appreciate the Like button but some do and it is the only way they seem to communicate, which is their choice , perhaps they don’t appreciate comments too. Blogging for Jesus, to me is about being in Unity in the Body of Christ, putting others first, sharing honestly and appreciating what they share but correcting in Love if needed and giving heartfelt encouragement and as I shared before, Awards do have a role to play in this and without pressure are a blessing and I accept them as such. Thank you for visiting Fisherlady and I’m pleased you were blessed by the Story, I was too when a friend sent it to me. I’m sure your Grandchildren just love Grannie sharing with them and they will be very blessed as the seeds you have planted bear good fruit. sis i’m so sorry for your loss of your friends son, God is holding him now..i love you sis, keep looking up sis..God is there with you. Thank you Betty, I feel very much for my friends but have no way to contact them and my number has been changed and they don’t know it yet and it was upsetting me that I couldn’t even offer comfort to them but then I remembered God will . They will be thankful that Shad is with the Lord and we are too but he will be greatly missed especially by his family. its ok sis..God works for us because He loves us, and we are his , so keep looking up for Him to come take us home..i love you sis. 9-25-13 my update, thanks for coming to my blog today. I don’t know what happened to the “blocked” spiritual blog thing. I did get anew computer and learning windows 8. I have to check that one out. I am in college full time for tech business management. I am getting ready to move in under a week. See, dad passed on Aug 4 2013- and things are messy, my older sister is executor and not following it. But God has my back for sure. Whenever I am told to leave it means someone needs me spiritually. It happens about every three years. My daughter is 19 and having problems too. Although, spiritually I am great. I asked to go back to work doing security – they miss me and will pay 10.00 hourly but I deserve more. I was there one yr and 7 months before I got my raise and two weeks after that I quit. I needed to do college. But, now my daughter needs me and is a non believer, so maybe that is about to change pray for her JORDEN. I am always awaiting for two + years for my ex to give me the back or delinquent child support I fought for sixteen years. His wife and son and he had their house foreclosed on and I have a Lien on it and it went for auction on July 29 13= so my pay should arrive soon, I am really needing it. So basically that is it. If I have to start a new blog spiritually I will, give me some pointers to start if you don’t mind. Love ya, Jackie your sister in Christ. Thank you Jackie, for visiting and for your encouragement, like you I’m still learning Blog and Computer Technology but we will get there. I have also lost my Mum recently and have a sister, who like the rest of the family is not happy I’m a Christian, I Love her and the rest so it hurts to be rejected but God does and will always come first in my heart and life. I find you a very caring person Jackie, as I told you on your Blog and when I emailed you a few years ago, I also believe your very talented, I love the cat image you left in one of your comments on my Blog, so clever. The best advice I can share with you Jackie, is something I’m sure you know, it is to seek God with all your all and His good will for you, Jesus tells us we don’t have because we don’t ask, when we do ask we receive. The message on the Link below was how I found my way out of darkness into His light after I came to heart repentance. Christian Love Always Jackie, from both of us – Anne. God is truly good. When time gets tough he sends us angels to comfort us with a love the strengthen our hearts. Thank you for being one of his beautiful, caring angels. Stay blessed my friend. Thank you for your kind thoughts dear Island Traveler but I’m not a real Angel we can’t be one as humans but I do appreciate you feeling my gifts reflect this, I wasen’t born with great beauty or outstanding ability but I Trust in Jesus to help me shine. I’m so pleased you are at Peace now, I did start your Power point but I felt Bee needed to be encoureged in her walk with Jesus, so I adapted one for her first but it was also what I needed to be reminded of and perhaps you too were encouraged and strengthened as you watched it today, I hope so. Thank you Bee once again for thinking of us, as I shared with you on your Blog, I believe that we are all people of worth that are greatly Loved by God and we all need to take the time to tell others we appreciate them in whatever way God leads us to do so but if we are not doing this regardless of which way we are lead to, then we are not seeking God’s will and being faithful to His guidelines as part of the Body of Christ, because He tells us we are to do this both in the Scriptures and in our heart. Thank you for thinking of us again tazeinmirzasaad but to be honest I can’t accept anymore Awards at this time. I hope to Post the ones I do have all together in the near future if possible. Although I appreciate the encouragement of Awards I don’t appreciate being pressured by their rules and Awards are just not my Priority, people are and so I spend a lot of time reading their messages and commenting. Most of those I Blog with have received some of these Awards already and so I will need to check which ones on their Blogs and this takes time and due to a lot of Life happenings and problems with the Blog over many months, which still have not been resolved by WordPress, it takes me a very long time to Post, this is due to them changing the settings and is another reason why I haven’t had much time left to Post Awards. But there is another very important reason I’m behind in Posting them and that is because I don’t believe that I should give them to those I don’t know or have just met as I’m commending them without honesty when I say I like their Blog or they are a great Blogger etc. But Thank you tazeinmirzasaad I do appreciate your kindness and your encouragement as I believe it’s sincere. sis thank you for all your inspiration..God bless you sis. Thank you Betty, I enjoy visiting you, I appreciate your openess and honesty, I’m not sure why it’s strange but when I think of you I feel like your a daughter, I guess I’m old enough to be your Mum, some call me Grannie Annie, it’s sweet but whatever you call me, we are in the Family of God, we are the Body of Christ, His Church. I hope things are going well for you now Betty, especially with your headaches, they must have been the pits. Thank you tazeinmirzasaad it is very kind of you, I have received it before but have not posted it yet, I may wait untill I do a few others but will link it to both of you if I’m able to I’m not sure if you can with the Links. Thank you WordsFallFromMyEyes for visiting us, going by the date it was just after my Computer crashed, I think at the time I was very frustrated but I’m pleased I looked at my held comments again and will visit you soon. It was kind of you Summer to Post this Valentines Card for us, and sweet, we all need to encourage and uplift each other, it’s not just all about ourselves. As I shared on your Blog, when I think of Love, Peace, Joy, Hope and Rest, I think about Jesus Christ and being close to Him, it is the only way to have these Treasures so that they will last eternally, the worldly ones won’t, without Jesus they have no foundation. Hi Robin, thank you again for your kindness, I’m sorry I still have not attached your last Award with your Link or Cathy’s, I’m finding it hard to Blog with having lost my Computer glasses but I will have new ones soon. God bless you greatly Robin – Christian Love Anne. Hi LubbyGirl thank you for your kindness, wow supper sweet! I think some may feel I have been a bit sour Hmmmm perhaps salty. I still have a few Awards to share but with all the Blog problems I find it hard to Post and adding links seem to cause more problems but I’m hoping with our new Security and Browser things will improve. But I will come and visit you soon as I also want to catch up with your messages, I’m sorry I have not been able to do so but my Blogging time has been very limited and I have not always had a Computer or just one for a few hours or less. I will attach your Symbol and Link tomorrow, at least others will know that you are wanting to encourage and uplift your Blogging Friends and then hopefully I will be able to Post it in the New Year. Thanking you again – Christian Love Anne. OH – my goodness – I’ve been having some of those problems too! I found it almost impossible to leave messages on two sites last night and almost gave up. It finally worked, whew! What’s going on with this internet thing lately, I dunno. Mine was just in and out, in and out, all weekend. Yes indeed LubbyGirl it is very frustrating, I feel for you too, it’s also very time consuming, it took me 3 hours to Post last night and I lost count of the revisions, yes we are indeed victims of faulty equipment or hackers or both but as they say, it will all come out in the wash, accept of course for hackers whose dirt is stuck hard, in other words they won’t let go of it and then of course they can’t, their stuck but they don’t really even care about this or that they are playing in the mud and so are very dirty but as they reject Spiritual soap and their sin is chosen by them so will be their eternal destination. But lets hope LubbyGirl it’s just the Browser or some other fault, it’s not God’s will that anyone is separated from Him but He does know those who will be eternally, which grieves Him but they can only go so far and no further, God always has the victory. The comments here are as encouraging as the post! Found this through a comment on a fellow blogger’s site (Island Traveler), and your comment intrigued me so much I just had to visit. Great stuff – never heard this story, but that song is one of my favorites we sing at church. Blessings!!! Thank you LubbyGirl for your kind words and for visiting our Blog, I have just had a quick look at yours and was blessed by the cup and saucer from your Grandmother, we have walked a similar road, I was Fostered and later Adopted, I will come back and comment and share more with you on your Blog. God bless you greatly. God is so good to us..God bless you in your walk with him.. Thank you Betty for your kind words ,you seem to be a very caring, warm and friendly person, thank you for visiting me and for your flowers of encouragment, they are a Blessing, I will look forward to sharing with you on your blog again. Hi Robin, thank you and as I said on your Blog, I will accept it for Kingdom’s Garden, it’s the first Award I have received for this one and I will look forward to sharing it, I was going to choose you for this Award too but will see what you haven’t received yet. Hi Michele, I missed this comment and I miss you I hope your well, at last I have your name right, Thank you for your kindness as I shared on your Blog you are a blessing. Thanks for your encouraging words.The story about the eagle is very inspiring.You are a gift to the body of Christ.Isaiah 41:10. Thank you ariseandshineservices for you kind words and yes I appreciate this story too, the Author was very tuned into God’s Truth and I Love the song too, the words also touch my heart. Thank you also for the Scripture, such a wonderful reasurence. I am also from Queensland, I live in Brisbane, what part of Queensland are you from? Hi Tri, it is nice of you to visit, I will do the same soon, thank you also for your kind words, people are important to me not numbers, but to be honest I don’t know how many followers I have, WordPress use to tell us but now they don’t. I do have about 90+ who have joined up with me but I don’t hear from all of them, I do visit those who join up or leave comments like you have done, at least a few times a week or more, I read most of their posts or save them to read later. Replying to comments on my Posts is a high priority with me although inadvertently in the past I missed a few, but I do feel we are having a conversation it’s not just about my Posting, or people clicking the like button, which I don’t do unless I read the message which means I often comment as well, but not always. I like to build friendship but not at the expense of honesty …looks like you have me on a roll so I will finish and just say thank you again Tri and I will visit you when I get back later today. You have been tagged! Pop over to my blog and read all about it. Thanks Martha, right now I Tag you as a beautiful, caring person who is kind and thinks about others. Your Tagged. God does have a way of directing to the right place… I soooo needed to read this! God Bless you for writing it and sharing it. Thank you mommywritervkent and very True, when we seek God’s direction He shows us the way to go but doesn’t force us He respects our free will. I enjoyed your Blog especially your sharing about you and you can be assured your not boring, I will look forward to sharing more with you … I liked the Graphic of the floor… like life some will only see the floor not the connection. Thanks again Christian Love Anne. Hi Jackie you are a blessing, you have such a heart for others, as I read parts of your Blog and I look forward to reading more, I was touched by your over whelming acceptance and love for others, you really did bring colour to my day. Thanks for visiting me – Christian Love Anne. Oh my Goodness! I love the song that you ended with and the story too! I had always loved them! Thanks for the inspiring post! Thank you teecounsel I too love both of them, we have some very gifted people who want to bless us by sharing what God gives them. This story the same as it did you, really touched my heart and the song uplifts me regardless of how many times I hear it. Thank you for sharing Christian Love Anne. You are welcome! Your encouragement and support on my blog has been wonderful! Words mean a lot to me and you are generous with them. Thanks much. Keep it up! You too teeceecounsel our friend, you get me thinking, I hope I do the same for you, if we are unteachable we can become apathetic but we must be carful what we take on. I Love your enthusiasm, passion, teeceecounsel and your honesty, I doubt you would just click the Like button without responding as others share, even if not by a comment but in your thinking. You may have less words then me but they are packed like Ron’s with good council. Yes I agree Carley, why be like a chook when God asks us to be like an eagle and to soar with Him….this is in the spirit of course not the flesh and by the empowering of The Holy Spirit, not the flesh. Thanks for sharing Christian Love Anne. And God bless you my dear Sister Carley and may you be greatly blessed in your Ministry. Hi the island traveler I could not find The Hug post perhaps it was deleted by accident but thank you for thinking of me, I will also have some Awards for you. Thank you for your honesty but there is a way to have God’s Love 100% regardless of the circumstances and that is by asking God for it, then by choosing to walk in it, He will empower you to do this as you choose His ways not the worlds or Satans. Thank you for the Christian love and hug you gave me today both in this post and the recent comment you shared. I will try each day to love God will all my heart, strength and mind…hoping that one day I’ll reach the 100% mark. He deserves all the love that I can give because all this time he love me first and that love sustained me till this day, against all the trails and hardships. He is faithful. For that I’m grateful everyday. God bless you and your family always…I wish to share with you a “HUG” today…hope you like it. I just found your comment Island traveler so it gives me an opportunity to tell you how much I miss you and your Support and Encouragement, you are a very caring and Loving Man and no doubt many miss your Blog. God Bless you greatly wherever life takes you -Christian Love – Anne. Your convictions and messages of the Lord’s wonder are inspiring. Continue on, steadfast and sure in the Faith, Hope, and Love of the Lord our Savior. Thank you livedlovedlost and yes we will if we do it God’s way and not what seems the easy way, it is encouraging to see your interest in something better then scratching around in the chicken leftovers. That was a beautiful story 🙂 Hopefully one day, we’ll all become who we’re meant to be. That’s definitely my prayer. What e-mail address are you using akcielo there may be a problem with my settings, I do have a hacker I will contact WordPress Security again today it seems not only double comments but they are also being deleted, I will let you know what they say when they check their records etc. Thank you island traveler your words of encouragement are very uplifting and I agree with you it is in Jesus Christ that we discover our purpose and our calling and yes this is indeed priceless, meaning it is a wise person who realises this and and seeks to make it a reality in their life. I enjoyed my visit to your Blog it’s so well presented, I loved the snap shots and how you put them together with your message, your focus was good, I look forward to returning soon. I’m blessed today because of you and the thoughts you shared. I needed to read this words today, “Finally, as he soared, he became the creature that God had made him to be.” And, “Until we understand what He has planed for us and what He has equiped us for we will not feel fufilled or complete. It’s only in Jesus Christ that we discover our purpose and our calling.” There are gifts in this world that are priceless….this post is one of them . Thank you. Happy New Year. I have nominated you for the 7×7 Link Award back on my site! Come check it out! Thank you Lady D to be honest after the problems I have been having I was not going to receive Awards but I prayed about their importance and I believe they are an uplifting encouragement if received and given in Love, so thank you and I accept your kind offer but will have to wait before I can post it. Thank you Lady D, I will be over soon, I’m still trying to work through the problems on my Blog but will not forget unless you are still taking photos of Scorpions Yuk! Do you know what the Dictionary tells us about them…Arachnid of warm dry regions having a long segmented tail ending in a venomous stinger!!!!!! Yuk! Worried and perplexed Annie because I thought it was snowing over there! Hello my beautiful friend. 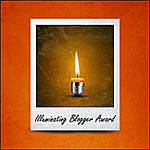 I wanted to inform you I have nominated you for the Liebster Blog Award. Your site is a wonderful, heartfelt, compassionate site. I am honored to call myself a member. Please click below on the link for further instructions. 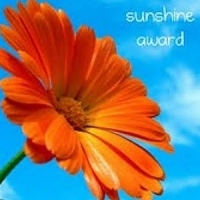 Dear Robin your words are always so Loving and uplifting thank you, I have tried to send an e-mail to you to explain about your nomination in regards to the Liebster Blog Award but it wouldn’t send, anyway your very kind but I have already received this Award and it seems the same as with most of the Awards except for the King of Kings friendship Award we can only receive it once, that is so others can also have the opportunity to receive it but I also have an award for you, so will be in touch after my Blog is running smoothly again and I can post, unless you receive it from someone else. God Bless you lead you with His Love & anointing. Hi davidmhur, thank you for your Christmas wishes, it was very kind of you, I watched ytube and read your message, very well done, sometimes the basics is what we need to hear when our world is upside down and to know that Jesus understands and cares makes a world of differance. Christmas blessings to you and your Loved ones David and may the Beauty of Christmas past and the Joy of Christmas present, fill your heart with Love that overflows all year. My dear “Sister “…. those words sound so good to me right now, I’m very blessed to have all my Brothers and Sisters in the Lord, we are indeed one family I thank you so much Jessie for your very kind offer for me to receive The Versatile Blogger Award. not sure what it is but I accept because I know it comes from your heart and even if it has lots of rules and regulations what is important it was offered in Love, like the Liebster award from Due, you are both indeed very beautiful Christian Woman as are others I have also met Blogging and I’m proud you are my Sisters and how wonderful I know I have many more yet to meet and Brothers too. Perhaps that is why I would like very much for someone to offer me The King of Kings Friendship Award or Blessing as some call it because you can receive that as many times as you are asked it’s never ending as are our Brothers and Sisters in The Lord are never ending. I should try and find a story to post about Christian Sisters for you all. 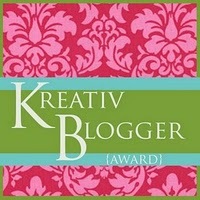 Thank you again Jessie for The Versatile Blogger Award and I gratefully accept…. I will leave this message on your Blog too. What a beautiful way to convey this message Anne ~ I loved it and very nicely done. God’s blessings and Christ love to you! Hi Jessie thank you for your kind words and yes it is a powerful Story, I’m not sure who wrote it but I know many people have used it. For me it is the Theme of my whole Blog … How to soar instead of scratching around in the Chicken pen just flapping. All God’s Children are meant to soar on high, not scratch around in a mess of scraps and left overs… meaning the barren and hopeless things like chattels and power etc that this world offers so we don’t focus of The Lord with all our heart. Thanks for sharing my dear Sister in The Lord, I will drop in again soon to share a cuppa with you…. figuratively speaking of course but I only wish it was so, your welcome to come for a Holiday and visit me in Australia anytime as my guest without cost, if you can find the Airfare and this offer is open to all my Brothers and Sisters in the Lord and their families . My dear sister in Christ, I would absolutely LOVE to visit you in your beautiful land and I appreciate the invite! 🙂 Also, I have been blessed by your posts my friend so I’ve nominated you for the “Versatile Blogger Award.” Please visit my site for more details and Happy Holidays! Beautiful word picture. The truth of “he became the creature that God had made him to be” is one that many take most of their life to realize. To know Him and to be known by Him, as His one of a kind design – that intimacy with Him is the utmost and worth the journey. Thank you. Hi Robin thank you for visiting it’s a joy to have your insight and it is so true what you say, I wasted much of my life on worldly chattels and values it was not until I asked for God’s wisdom that my focus changed and I knew there was much more in life then what I understood, sadly many are waiting, but God longs for them to come. God bless you greatly Robin I look forward to soaring with you. Thank you again my beautiful friend Dru, when I saw my name on your list I cried, Wow Dru thinks I’m special it was not the award although this is good we all need encouragement but it was your words … with all my being I want to share God’s Love with the gifts He has given me and others including the gift of humour … when I post someone’s Story etc I pray they will be blessed if they see it posted, to know that others are also being blessed with the gift God has given them and me in Unity, even if they are never known by name . How wonderful it will be when the Lord says ….well done good and faithful servant come my friend let’s sing together. Hi Corri, thank you for your kind words of encouragement and for the Hebrew Scripture, how very Tue what you shared God does indeed give us the Strength to withstand whatever Storm comes our way, we can’t do it in the flesh. Thank you also for your advice with Blogging I appreciated it very much. God bless you greatly Christian Love Anne. Thank you sisterdot56 , we are indeed the Body of Christ and we are His hands, arms, feet and voice and we are to first build up His Body in Love through The Spirits empowering and then reach out to a hurting world offering the Hope we have, with the Love and Compassion we have received. I will visit soon and have a chat, thanks for posting the Scripture that reminds us to be thankful and to be in Unity, how wonderful to be so. Very inspirational, and I love the way you told this story. On a side note; I was going to recommend your site to my friend Dunia, but it looks like you already know her! Thank you Michael, I also was very impressed with your Photography, there is a quality in it that makes you feel you could reach out and touch it for real. Dunia is a very dear friend, it was her who encouraged me to step out and risk with Blogging and not focus on my limitations, I feel it was a gift both from God and her, Dunia also helped me to get going and has encouraged me along the way, I’m very thankful to her. Great wisdom and encouragement for the times when we are waiting. Hi Roger, sorry I did thank you on twitter for your kind and encouraging words but it didn’t register, I have just joined so don’t know how to use it yet, anyway I appreciated your uplifting message, may you be greatly blessed. Thank you for all your Support Lady Deidre, it is good to uplift and encourage each other and you have been faithful to do so. As I said to others I’m thankful also to you for takeing an interest in what others do in the Lord’s name, may you be greatly blessed for doing so. Isn’t it great how God talks to us and shows us his love and grace? I can see that he is talking to us through the powerpoints, messages and blogs that you have created. I am proud to call you my friend. So wonderful to hear from you Dolly, I miss you my friend very much, when I think of my home in Sydney I always think of you and Peter and the kids. Thank you for your kind words, after 25 years it’s wonderful that our friendship has remained so constant through all the ups and downs, I’m so looking forward to seeing you all early next year, thank you for always being there for me. Thank you Robin, I hope you received my Power point and the e-mail I sent, I found your address just before I left your Blog but thanks you are kind to post it for me. Try my email rdblackmon@comcast.net if you have problems, leave me a comment so I can research it. Oh, I am no longer moderating the comments….Many, many blessings to you and HAPPY NEW YEAR!!!!! Hi Robinb333 I just found this comment thank you and I will be in touch tomorrow and thanks for understanding, you are indeed a kind hearted friend, and True to The Lord. I feel so much like the Eagle born to chickens and it made me smile reading about him. God is so good! I am so grateful that He knows me and calls me. I am an adult with Aspergers syndrome and dyslexia. Autistic spectrum Disorders were not very well know or diagnosed when I was a child. I have always felt rejected, different and wrong, I’ve never understood why I couldn’t fit. Only through Jesus and those He has brought into my life have I started to learn that I am wonderfully wired, yes I am different but I am not less. Your post really helps affirm what God speaks in me. Love, hugs and blessing to you. Hi alienhippy, thank you for sharing as I said on your Blog I very much appreciated your honesty and willingness to share what is important to you, I look forward to reading your poetry and getting to know you better. We are all a bit like this Eagle scratching around until God lifts us up, when we Trust Him as a young Child does their parents and we are fully dependant on Him then we will leave the shackles behind and soar. Thanks Ron, yes so True and as they claim … A Picture Says A Thousand Words but we need words too and that is where you are gifted. Wow! I finally found you! What a beautiful blog! What a pure hearted, beautiful writer and person you are too. There is a wealth of inspiration and wisdom within your posts. I am both honored and blessed to read them. The beauty Bible Man that you see in me is a reflection of Jesus dwelling within you and as we soar together like all of His Loved ones we will be set free and as He Teaches us we will Trust and obey because is there really any other way but it will come from our heart because we were with Him right from the start.. Thank you my Brother in the Lord for your Loving and kind words and I look forward to knowing more about you, sharing more with you, and growing to maturity together as we are perfected in His Love. 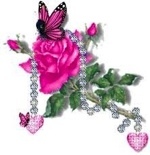 Hi Nancy, thank you for your encouragement , it was kind of you to take time out from making your beautiful Butterflies to uplift me and I’m sure your prayers for my well being have kept me strong in the battle, thank you also for your Love and support. Thank you Lady Deidre, for I adding me to your versatile blogger award, I will look forward to walking through your Blog have already enjoyed some of your messages. I added you to my versatile blogger award, if you want to come check it out. Hi Drusilla thanks for your help without it I would not have my new look, for a minute I really thought you were serious about my helping you with your like button, so this is what I came up with but perhaps not too original though …where there is a will there is a way. Have a good day and thanks again – Christian Love Anne. Sweetie, you are mistaken. Unless you are over 65. I am old enough. I turned 80 in April. God is so good. Last night we were blessed to have many in our family at Joe’s graduation from Chaplain’s Academy for Law Enforcement. They are there for the sheriffs, police and highway patrol and their families in time of crisis and for people who they affect and work with. After so many years of searching, he has found the place where he feels needed, respected and honored. You can check out the picture on my FB. I am so happy that you want to be my granddaughter. It is an honor and a privilege. I love you and pray for God’s blessing on your blog and your life. Hi Gramma Velta I made it by 5 years but the pleasure and joy is mine, I will also swap the lollies and Teddy bear you promised me for a Hug. Good news about Joe’s Graduation, you must be very proud. Looks like you are collecting some encouraging comments,makes it worthwhile then. God bless and keep it going. Someone said God announced he can live anywhere in the universe,- and He chose your heart ! God bless you too Ron and your heart is so big He didn’t have much trouble fitting in – Christian Love Anne. Write what is in your heart. Most people really want to know about your life and why you thought it important to have a blog. I love you, Honey, I know God will direct you. Dear Velta, its wonderful to have a Gramma Velta even if you are not really old enough to be one for me but as I have never had one before so I thank you not only for taking me into your life but into your heart …How Loving is our God that is why I can’t stop thanking Him I Love Him passionately and I ask everyday that I may Love Him more and to fill me up so I overflow and touch the hearts of others in His Name. Yes I agree with you Velta that is what my Blog is all about sharing my heart and giving others the chance to share theirs, we do indeed Love our Awesome God because as The Godhead He first Loved us. But it was not my idea Velta to start a Blog although it had crossed my mind a few times but being Dyslectic all I could see was problems but my dear friend Dunia who encouraged me to start one also offered her help and even gave me it’s Name… Child Of The King and I knew that in Him we are Freedomborn, so here I am writing a Blog. Thank you for your Love Velta, you are a beautiful Godly woman a True woman of Strength in The Lord, by the way Gramma were is the lollies and Teddy bear you promised me. Hi Anicka not sure what went wrong so I just added your comments below thank you again. I saw your post in the forum. It’s easy. You should start your topic to something which you really know about; where you can give lots of info, and share about many things regarding your topic. I was also new here, and started first day of Sept. i was like you don’t know where to start, but as long as you know what you are writing about, it will be easy for you to get another one for next time. It will takes time until you will have readers, its not like. ; you post today and you will have many readers the following days.. It can take months or weeks to finally have few readers or subscribers to your blog. What you must do is to just write and write many topics as you can, post it, and readers will soon know that your blog exist.. Just enjoy what you are doing, give update to your blog. Best of luck.! Yeah, it is a pleasure to help. I know how hard it was in the beginning, I also got that issue when I started, but you will like it though. I’m pleased you were blessed by the Theme of my Blog Dan, I’m only just learning but hope to add more uplifing and as you said kindly, meaningful stories that I have saved over many years and also share some of my Life story as I have indeed been blessed and even through the heartache and suffering there was always a Light holding me up. Thank you Dan for also blessing us with your uplifting comment. Thank you Ron, I appreciate your encouragement – God bless you greatly Christian Love Anne. Thank you Dunia for all your help there is of course a lot I still don’t understand about bloging so you can be sure I will be in touch, you are indeed a blessing that I give thanks for but not just for what you do for me but for who you are. God’s Love is the strongest force in the Universe, it’s foundation is His Truth, He is Love and cannot be defeated.